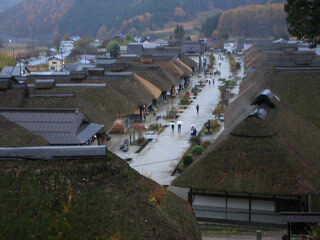 Ouchi-Juku(大内宿) is a remaining post town with many traditional houses located in Fukushima. There are 50 traditional houses that is over 300 years old in Ouchi-juku. It has a great view of Edo period. This scenery of this old style houses are designated as Preserved Area with Traditional Houses. Many shops close around 5p.m. 2. use local bus to Ouchi Juku.